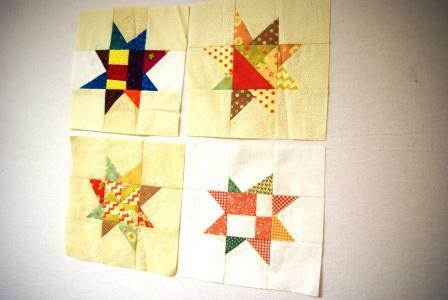 Here are my four blocks. These were a blast to make. I think I shall have to think about using them in a quilt. Very nice blocks. I love your creativity for the centers!